SKU: WS287. Categories: Funny Signs, Novelty Signs, Warning Signs. Tags: Satanic Cult, Warning Sign. There are theistic Satanists and there are atheistic Satanists. 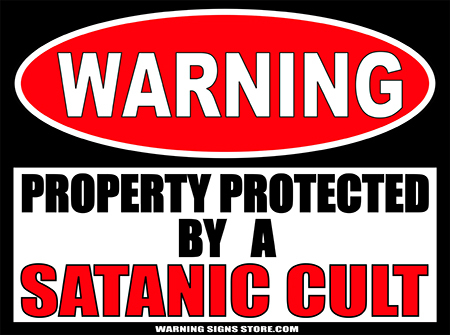 But regardless of what type of Satanic Cult you’ve got protecting your property, this sign will work for you! Scare away potential intruders by alerting them that they could be victim to blood rituals and human sacrifice! 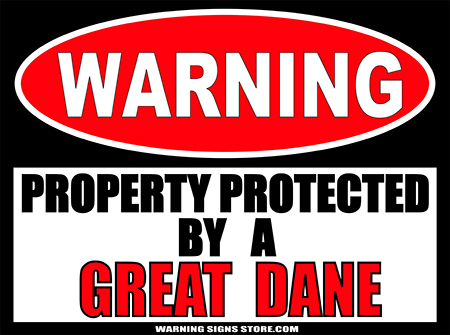 This sticker measures out to approximately 4.5″ x 6″. It is printed in a glossy finish with eco-friendly inks, on an adhesive-backed premium vinyl polymer. Our inks are UV resistant and designed to last 7-10 years, indoors or out. This sticker is meant to be adhered to a clean surface. Either wet or dry application for this particular product. Click ‘here‘ for application instructions.